Medium dry with a crystal clear finish, a wonderful wine to accompany fish. Food pairing: Shellfish, salads, antipasti, creamy pasta sauces or risotto or with pretty well any kind of grilled fish. Cortese is a native grape variety of Alessandria in Piedmont and tends to perform best in the hills between Novi and Tortona in Piedmont. The grape has been so successful in Gavi (which is located in the south of Piedmont close to Liguria) that it is known there as Cortese di Gavi. 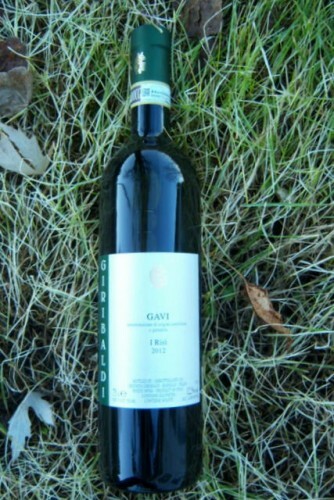 Giribaldi wines are grown entirely organically (the grass under the vines is not cut at all) on mineral soil to produce a wine that is typically pale lemon-white in colour, possesses a fine fragrance, full and round in the mouth with a crystal clear palate of exotic fruit and golden apple. With a light acidity it is steely and dry on the palate with an unmistakeable minerality, making it a wonderful pairing for many foods including fish and shellfish, salads and antipasti, creamy pasta sauces or risotto. Just as delightful enjoyed on its own!